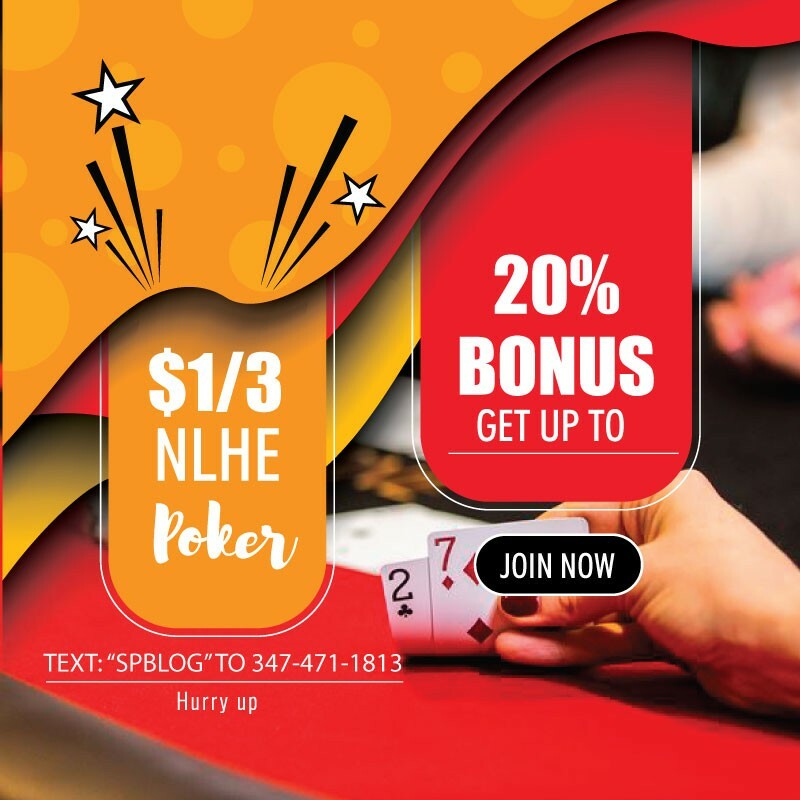 Dear Poker players, Our Low Stakes No-limit Holdem Poker Room runs everyday. Stakes range from 1-2 NL to 5-10 NL and PLO are also played on occasions. New Member are welcome. New Poker member required light screening process for the safety of our regular poker member. 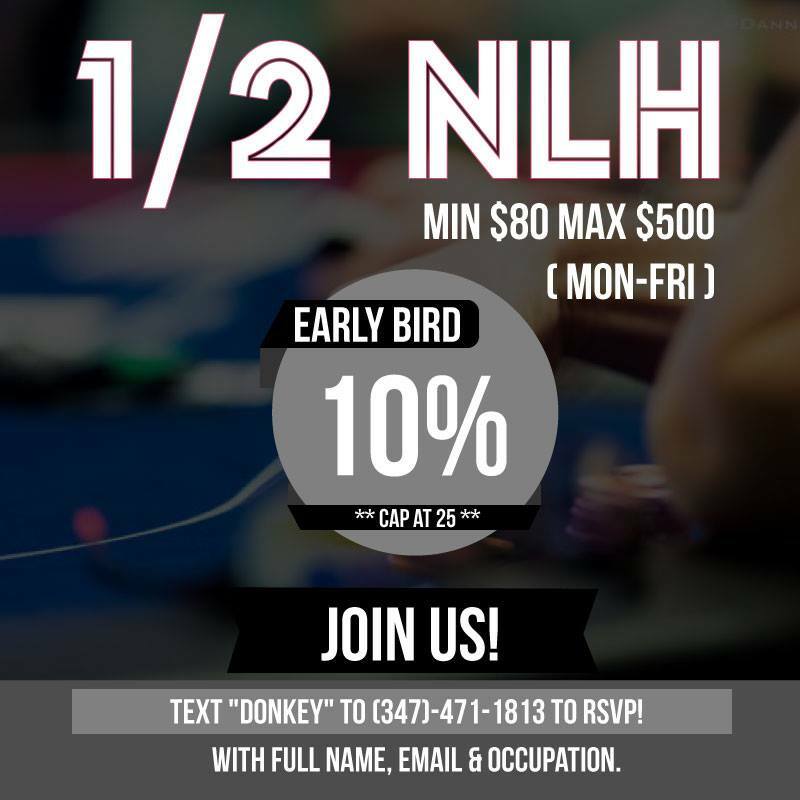 We are looking for professionals poker players who likes to play for several hours at a time, not only two hours hit n run players. 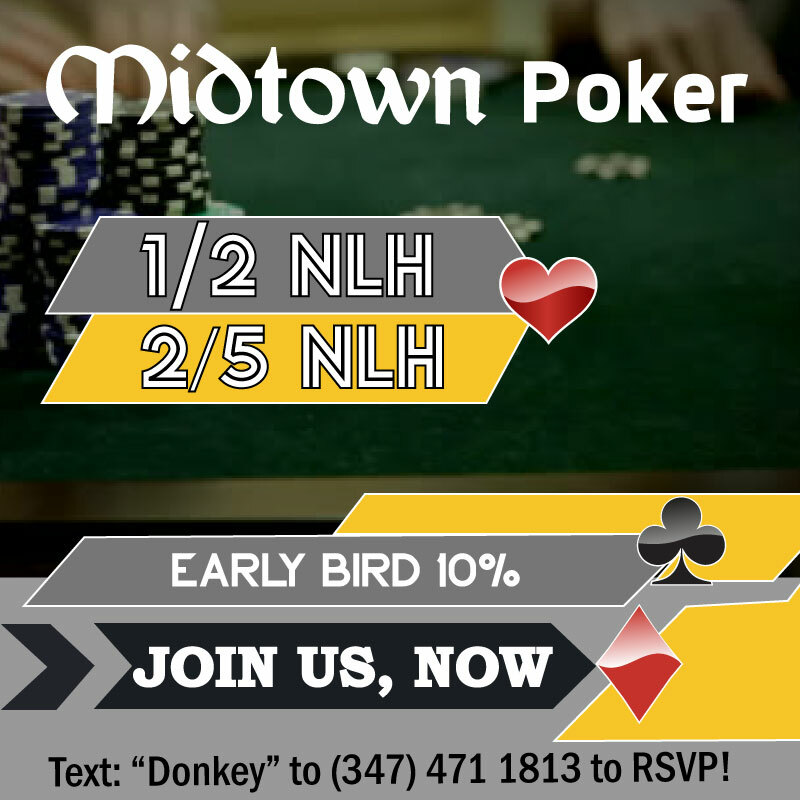 We have one of the best poker games in city that usually plays for 12+hrs.If you have any questions, or would like to RSVP please text (or call) 24/7 hours Hotline 347.471.1813 with name and email.